I'm constantly amused at the health revival stories on YouTube of people who drink ionized water. All sorts of miraculous cures are attributed to the drinking of what they claim is alkaline ionized water… but frankly, when I look at them, the vast majority of them were very unhealthy people to begin with – before they began to drink this 'special' water. And 8 glasses of ANY kind of water is going to radically improve their wellbeing. ..just drinking sufficient water – not Pepsi, not Coke, not Gatorade, not orange juice… WATER was the real reason for their health revival? After all in his book, Your Body's Many Cries For Water Dr Feyrood Batmanghelidj demonstrated conclusively that in the absence of other medicine, water alone affected amazing healings on the battleground of the Iraq-Iran war. Modern diets often include sources of water that contribute to our hydration. Some foods, such as strawberries, watermelon and cabbage and many others are more than 90% water. Many beverages are water-based. However… the best way to stay hydrated is by drinking just water. We should know how to tell when we’re dehydrated, so that we can take immediate action. We need to know the signals – Headaches, fatigue, muscle spasms, and dark urine are the obvious ones.. but there are more it;s good to be aware of. 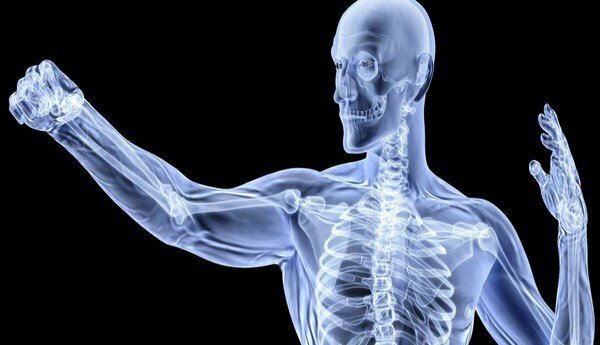 We now see more studies demonstrating that dehydration actually causes an increase in bone damaging stress hormones – such as cortisol. So not only do you need adequate hydration to build bone… dehydration is also actively harming your bone mineral density.